Home Brands Essence Halloween special! You know what, guys? It’s time for another fun game! With Halloween knocking on our doors, we thought it would be fun, having a Halloween special. 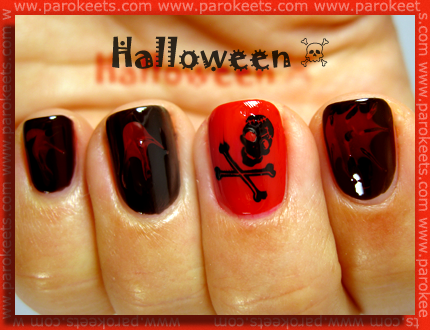 Send us a photo of your Halloween themed manicure and we’ll post your pictures on Halloween day on our blog. and a Stampy Set from Essence (the old one with special polish included) plus a surprise! How cool is that?!? Thanks to Čarodejka, that contributed a beautiful nail polish Swing Velvet. Verjamem, da je težka odločitev, Nati, a zadevo smo tokrat omejili na eno fotko. :wink: Bodo pa objavljene vse fotografije. ohhh.. i better remake my toxic kitty or make another halloween mani.. Looking forward to one of your fantastic manis. juhuhuuuuuuuuuuuuuuuu…. to bo neki fajnega! !